TDP said while Rs 1.30 lakh crore was needed to build the new city, the state requested the Centre to grant Rs 48,000 crore to construct government complexes like the Secretariat, High Court, Legislature and the like. 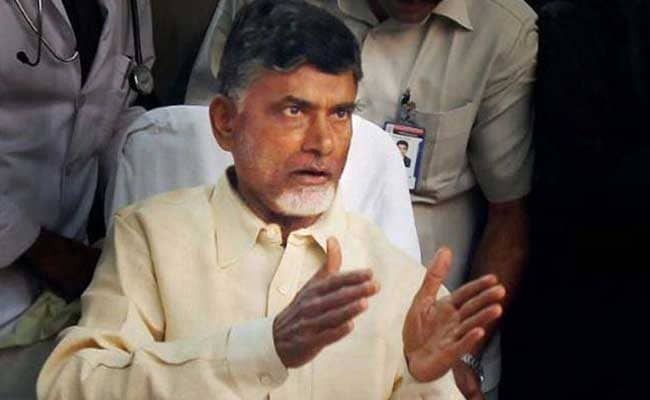 Chandrababu Naidu's party said the Centre gave "nothing special" to AP despite the promises. Amaravati: The Telugu Desam Party and the Bharatiya Janata Party continued their slugfest with the former dubbing the 27-page status report on Central aid to Andhra Pradesh publicised by the BJP as a "cinema script or fiction document". The BJP hit back and challenged the TDP to prove if the facts and figures listed in the status report were wrong. On its part, the TDP too brought out a 28-page counter document to suggest "nothing substantial" had been given to Andhra Pradesh in the last four years except the "routine" Central grants that any other state would get. "What we are demanding clearly is an action plan to meet all the commitments made in the AP Reorganisation Act 2014 with specific timelines, and also implementation of the six promises made in Rajya Sabha by the then Prime Minister Manmohan Singh (in February 2014). Otherwise, we can't believe anything (the Centre says)," TDP MP Jayadev Galla said. Addressing a press conference with fellow MP K Rammohan Naidu and state TDP president K Kala Venkata Rao, after a meeting with Chief Minister N Chandrababu Naidu here this afternoon, Mr Galla said the Centre gave "nothing special" to AP despite the promises. "Going by the quantum of releases, the projects could take anywhere between a minimum of 10 years to a maximum of 30 for completion. The Centre's allocations to specific projects (like IIT, IIM and other national institutes) have been too meagre," he pointed out. "Our main concern is about the implementation of the provisions of the AP Reorganisation Act. Nothing substantial has been done in this regard so far," he added. Referring to Andhra Pradesh capital Amaravati, Mr Galla said while Rs 1.30 lakh crore was needed to build the new city, the state requested the Centre to grant Rs 48,000 crore to construct government complexes like the Secretariat, High Court, Legislature and the like. "We have submitted a detailed project report to the Centre in this regard but they (BJP leaders) are saying only Rs 1,000 crore more will be released, in addition to the Rs 2,500 crore already given," he pointed out. BJP state president and MP K Haribabu, who released the status report in New Delhi yesterday, told reporters that he had only mentioned what the Centre had granted to the state since bifurcation. "They may call it a cinema script or something else but let them prove if anything listed in it is wrong. I am fully concerned and committed to the development of the state," Haribabu asserted. Union Minister of State for Power, R K Singh, who was in the city on Sunday, said what the Centre had given AP in the last three-and-a-half years, no other state had got since Independence. Referring to the TDP MPs' agitation during Parliament's Budget session last week, Mr Singh observed, "People will agitate to raise their demands but we have done so much to the state and will continue to do much more. We are committed to it." Interestingly, TDP state president K Kala Venkata Rao, also the state's energy minister, was present by Singh's side but remained silent as the Union minister brushed aside the MPs' agitation.